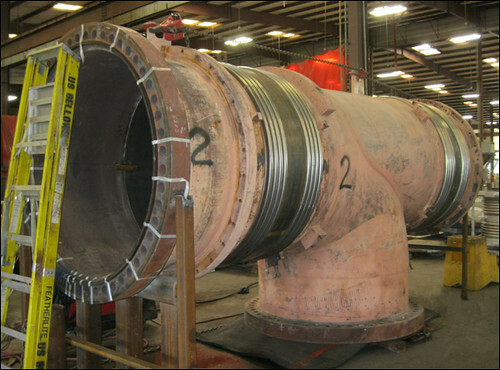 These fabric expansion joints were custom designed for an exhaust duct in a gas turbine facility in Europe. The 81″ x 18″ x 16″ face to face expansion joints have a integral stainless steel frame and liner with a reinforced red silicone fabric belt. The assemblies were manufactured for a 400°F operating temperature at +/-100 inches of water column pressure. 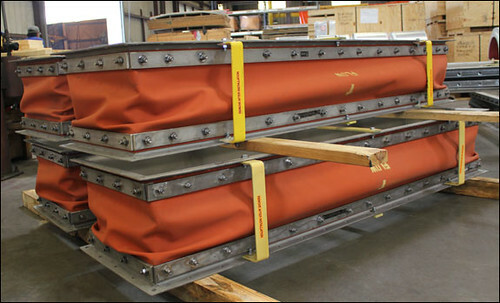 The expansion joints were 100% dye pen tested before being shipped to the customer.